With smartphones becoming an essential piece of gadget to have in your hand, popular brands like Samsung, Apple, Motorola, HTC, Sony etc. are constantly coming up with phones that incorporate the latest technology and yet keep the price of the product at a minimum. 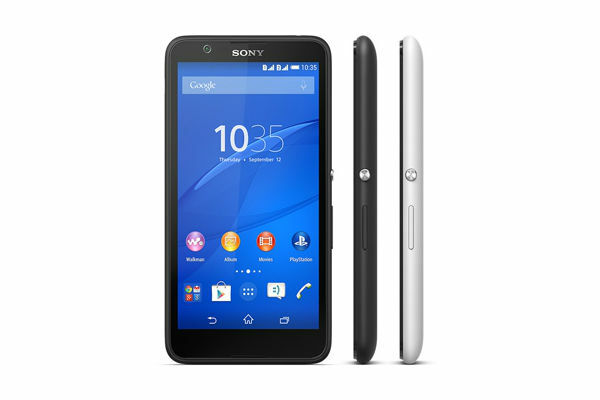 One such endeavor is the launch of Sony’s Xperia E4 dual SIM smartphone in the first quarter of this year, which coming with a price tag of about Rs.12, 000 (this product and many more can be bought using Amazon gift vouchers). The phone does not adopt the same design as the one adopted by its predecessors. The phone has a thickness of 10.4mm which makes it a bit bulky to be carried around comfortably in the pocket. It weighs a decent 144g. However, the matte plastic cover ensures that the user has a firm grip of the phone at all times. The micro USB port is on the left side of the screen whereas the power button along with the volume keys are to the right of the screen. It makes use of onscreen keys for navigation purposes. The E4 sports a 5” IPS LCD screen with a quarter HD resolution of 540x960p with a pixel density of 220ppi. However, the screen appeared pixelated and the viewing angles aren’t too great either. The phone comes with a scratch resistant glass, although the type is not mentioned by the company. The phone is equipped with a 1.3 GHz MTK MT6582 Quad Core Processor which is not as good as that of phones costing about the same as the Sony E4. The graphics processing unit in use is Mali-400MP2. The 1GB of RAM is not enough to handle multiple tasks and fluid app switching. It has an inbuilt memory of 8GB which can be supplemented by another 32GB using an external memory card slot. On the camera aspect, the phone is fitted with a 5MP rear camera capable of shooting 1080p videos while the 2MP front camera is decent enough for clicking selfies and video calling. The dual SIM phone has 3G, Wi-Fi, and Bluetooth for connectivity. The phone is powered by a decent 2,300mAh battery. The phone is regrettably still on Android KitKat with no apparent Lollipop update available for now. It comes preloaded with unnecessary apps that thankfully, can be uninstalled as per the user’s discretion. 3. Camera quality and performance. The camera does not capture images well in low light and the quality of the 1080p video too, is questionable. The front camera on the other hand works well enough and serves the purpose. The sound starts cracking when played at high volume. The only redeeming quality of the Sony Xperia E4 is its battery which can play videos for about 9 hours continuously. There are lags on certain occasions too. Overall, the phone is worth it only if you are a Sony loyalist. Otherwise, there are better phones in the same price bracket that you could opt for.